Arriving at good solutions to family problems can be a frustrating process for many people. Whether you are finalizing the terms of your divorce or negotiating child custody arrangements, working with an experienced lawyer can make the process easier. 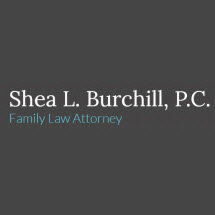 My name is Shea Linn Burchill and I have dedicated my practice to helping clients resolve family law matters. I work closely with people in Longmont, Colorado and all throughout Boulder, Weld and Larimer counties, offering them the counsel they need to solve their legal problems. Unlike some firms that pass their clients down to inexperienced paralegals, when you contact me, you will work directly with me the entire time. I handle every aspect of my clients' cases. Prior to opening my own practice, I was a Weld County Deputy District Attorney. Put my criminal law experience handling matters related to domestic violence and DUI cases to work for you. I have the insight and dedication you want when addressing these important issues.